Having team of young and experienced people at our back, Genuine Attestation Services has attained position of best service provider for certificate attestation. We provide efficient and satisfactory services for Vietnam Embassy Attestation. 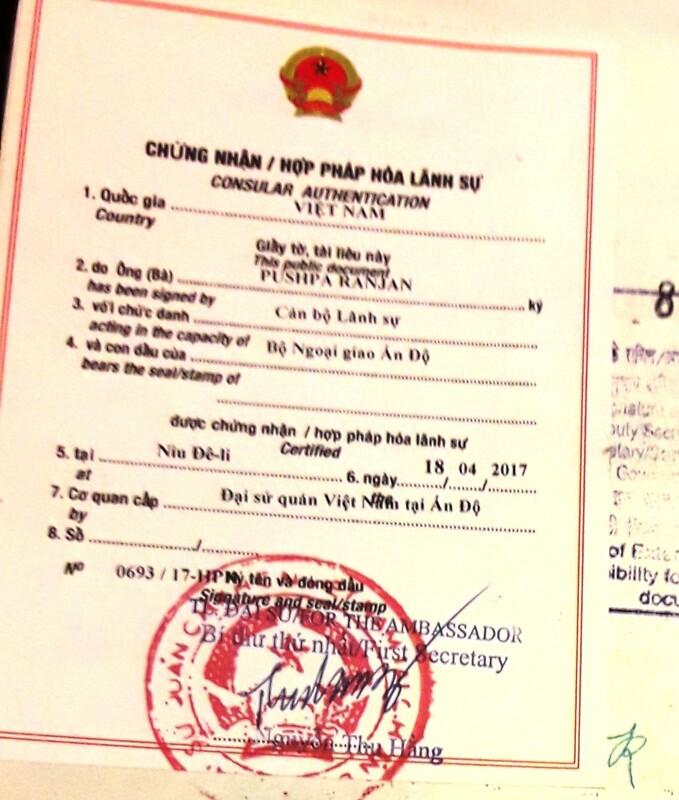 Irrespective of your purpose behind moving to Vietnam, attestation of document from Embassy is very much necessary and with our technical know-how, we can assist you best. Genuine Attestation Services is the one stop solution centre for all Attestation requirements and that too at reasonable rates. It is advantageous for those who wish pursue higher studies in Vietnam. It is helpful in getting admission within schools of Vietnam as well as gets equivalent certificates for your kid. It is extremely beneficial to attain employment visa and also increases work opportunities open up within Vietnam. It also proves helpful in getting settled at Vietnam, as it helps in attaining residence visa for you and your family. The first attestation of document is done at Home Department of the respective stated from where document is originated. Thereafter, attestation of document is done at Ministry of External Affairs, New Delhi. Attestation process ends at Embassy of Vietnam, New Delhi. In the beginning, document needs to be attested from HRD department of respective state from where document is issued. Final attestation will be done at Embassy of Vietnam located in New Delhi. At first, document is attested at respective Chamber of Commerce. Thereafter, attestation process follows at Ministry of External Affairs, New Delhi. Finally, attestation process ends at Embassy of Vietnam, New Delhi. Having team of young and experienced people at our back, Genuine Attestation Services has attained position of best service provider for certificate attestation. We provide efficient and satisfactory work for Vietnam Embassy Attestation. Irrespective of your purpose behind moving to Vietnam, attestation of document from Embassy is very much necessary and with our technical know-how, we can assist you best. We are one of the one stop solution centers for all Attestation requirements and that too at reasonable rates.